Breaking: AC Milan Have Approached This Arsenal Man, What Next? This transfer window is getting interesting day by day. The drama started right after the World Cup when Cristiano Ronaldo announced his move to Juventus. Among the great talks of Summer, the Brazilian keeper Alisson joined Liverpool where Buffon made his move to Paris. Neymar may not leave PSG after all those interpretations and it seems Real Madrid may struggle to find their next talisman after the departure of the Portuguese forward. If we concentrate on the Premier League, we may find that Arsenal and Liverpool are making a brand new squad to challenge the champions. Unai Emery has taken the charges for the Gunners and with quite a few interesting reinforcements, Arsenal are seeming quite brilliant. Though the inner picture of the club may not seem so good as Arsenal’s chief executive Ivan Gazidis is all rumoured to join AC Milan this season. The 53-year-old club executive is linked to the Rossoneri and made the club aware of an offer. Losing Gazidis may cost the side as the Gunners are trying their best to hold him back in the Emirates. Hope is still there at board level that Gazidis may resists any offer to leave. Moreover if Milan fail to grab the mastermind it could be the American hedge fund Elliott Management who can offer Gazidis. Elliott boss Paul Singer has a good term with Gazidis who also controls the club Li Yonghong. The departure of Gazidis would be disappointing for Arsenal after he overhauled the managerial structure at Arsenal. He was the man behind the departure of Arsene Wenger and initiating a new era at the Emirates. Gazidis is also the man who appointed Sven Mislintat from Borussia Dortmund to be head of recruitment and that’s how Arsenal managed to sign the top class players in recent times like Aubameyang, Mkhitaryan, Papastathopoulos, Lichtsteiner and Bernd Leno. The board of committee behind signings players are aided by Raul Sanllehi, the Gunners’ head of football relations. He was also brought to the North London club from Barcelona by Gazidis. 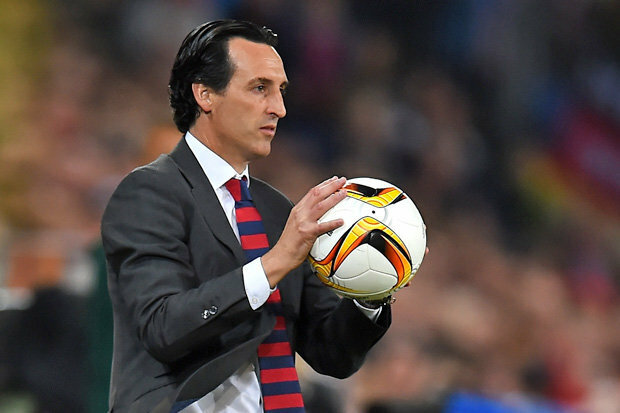 Not only this, this man also brought in the new manager at Emirates, Unai Emery who lead Sevilla and Paris Saint-Germain earlier. His departure is being analysed in different aspects, while some think that moving to Italy a step down for the man who is now Arsenal’s senior power-broker. Though the current chairman Sir Chips Keswick is quite confident in holding on the old man. 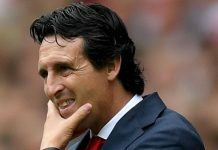 Emery also believes his staying at Emirates as they two have a rough journey ahead to pick their side from the sixth position to top four at least. The reason behind the rumours about his departure is maybe some negative critics which influenced him to have some different and new challenge to overtake. As according to the former Arsenal midfielder Stewart Robson, he knew that was Gazidis was a very high-profile sports agent. Though he himself always used to address him as the ‘the worst negotiator’. Moreover, if the rumour takes place for real it would be one more sign of the club hindered by a muddled strategy at the top for too long.